The Colorado State Fair opens for its annual 11-day run Friday with a PRCA rodeo and concert with the Oak Ridge Boys. The fair will run through Labor Day, September 3. 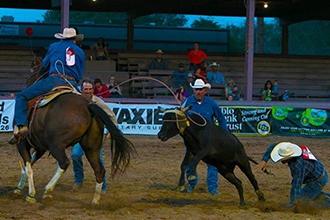 Each day is packed with events, activities, exhibits, rodeos, concerts, and more. The full schedule is available at https://www.coloradostatefair.com/events. Featured entertainers include Larry the Cable Guy, Old Dominion and Joan Jett and the Blackhearts. Free music and other entertaining features will be held throughout the multi-day event. Other options include one of the country's largest traveling carnivals, artwork, crafts, food competitions, thrilling rodeo action, a wide variety of food and merchandise booths and a Fiesta Day honoring Colorado's ties to the Hispanic culture. The fairgrounds are open Monday through Thursday from noon to 11:00 p.m., and Friday through Sunday from 10:00 a.m. to 11:00 p.m. Labor Day hours are also 10:00 a.m. to 11:00 p.m. Wildfire Safety – Are You Prepared for a Fire Evacuation?